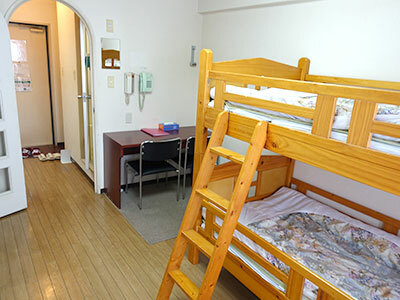 We have wide range of plans with reasonable price from short stay to long stay. 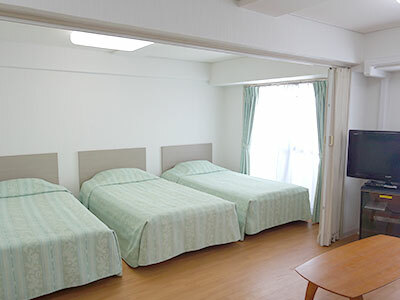 You can choose from single room to quintuple room. The price includes cleaning and utility charge. Please inquire us for the advance booking over 180 days range. Depending on the season, bed making will be changed. 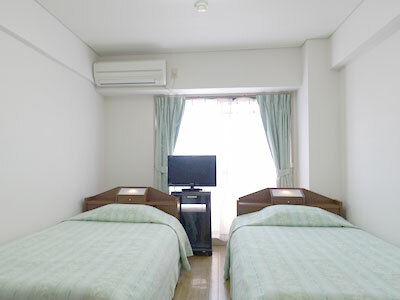 This is our recommended single room. You can relax. 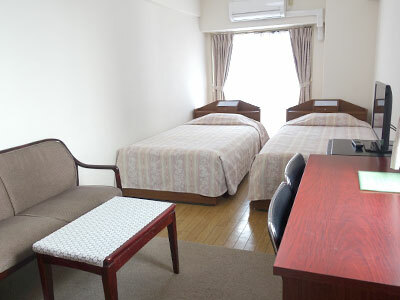 It is the best match for those customers who stay long and do business in Kansai. 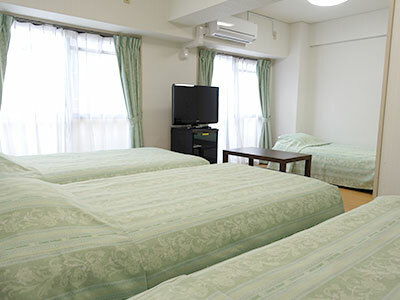 This room is chosen for customers who come for sight seeing in Kansai with friends. We prepared a sofa for relaxing in the room. 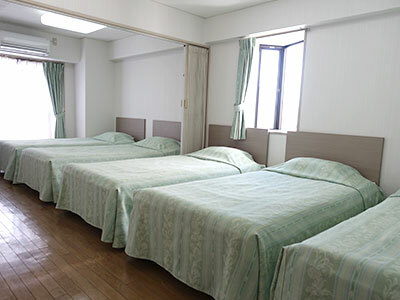 This room is for 3 people. There are 3 single beds not extra bed. This room is the best fit for family. There are 4 beds not extra bed. This room is the biggest room in our property. You can use for leisure and business. We will send a confirmation by mail or phone for your inquiry during our office hours. I want you to send me an email. I want you to make a call. We have other property called Ladies Green Garden for long rental plan. 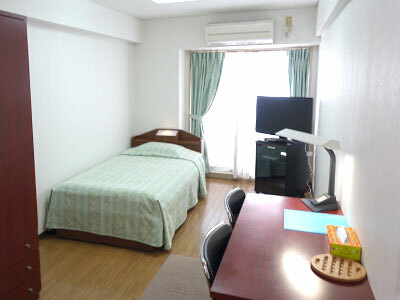 Hotel style weekly / monthly rental apartment. Our motto is to offer cheaper rate, convenience and clean. Copyright © Weekly Green in Namba All Rights Reserved.